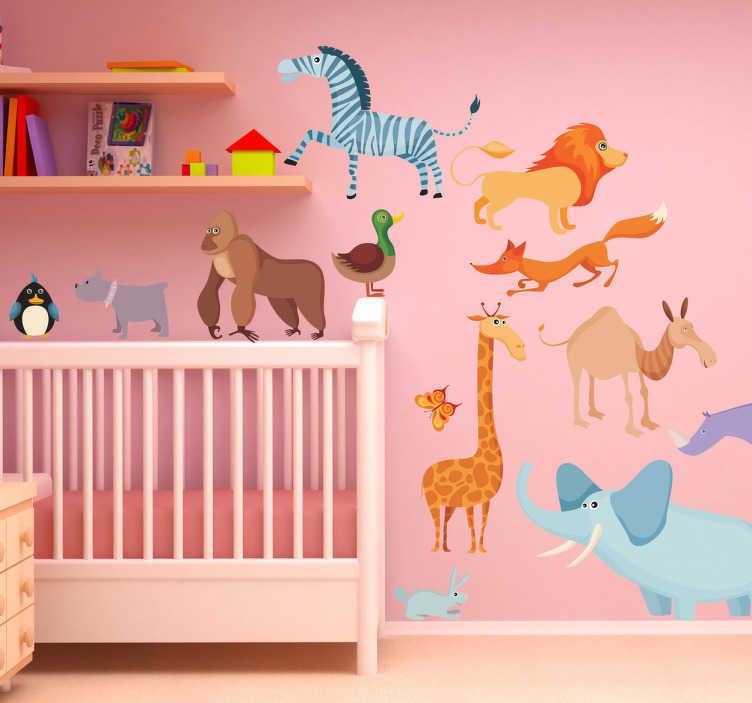 Kids animal wall stickers - Fun animal stickers for kids featuring different wild animals! Part of our collection of nursery wall stickers. Create a fun and playful atmosphere with animal stickers your children will love! Our kids bedroom stickers are easy to apply and leave no residue on removal.